This winter our citrus trees are bearing beautiful lemons! We have Lisbon and Meyer trees but the Meyer lemons are my favorite because they are a bit sweeter. 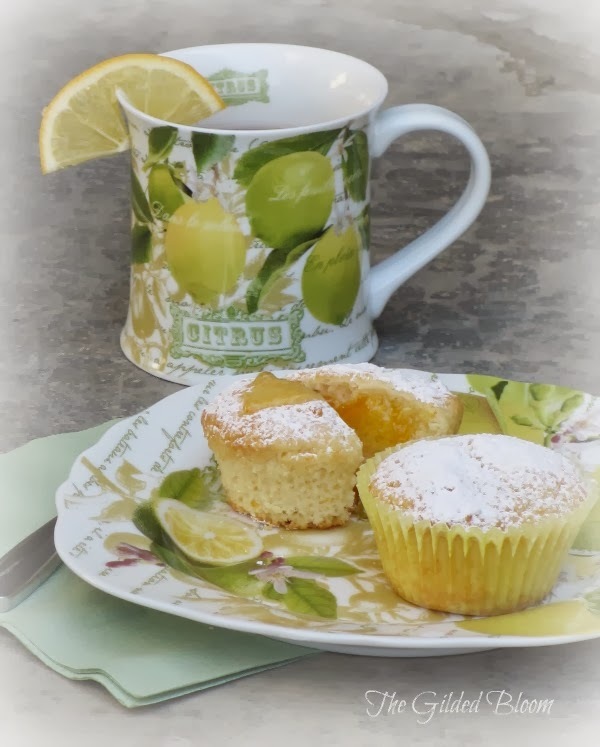 Although I often freeze the juice to use throughout the year, I couldn't resist making these delicious muffins for a morning treat. This recipe is very basic and produces a rich and buttery muffin that is not too sweet. They are best the day of baking so plan to serve them right out of the oven. Combine dry ingredients in one bowl and add lemon zest. Combine wet ingredients in another bowl and whisk to blend. Mix the wet ingredients into the dry ingredients and stir. Spoon batter into paper-lined muffin tin. Cool and sprinkle with powdered sugar. 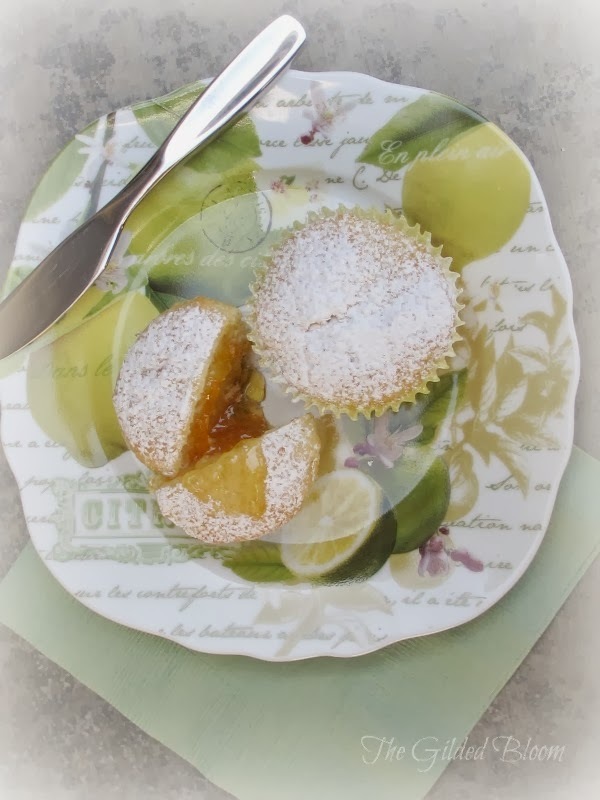 The muffins are even more delightful when spread with Lemon Marmalade. Although I was lucky to be gifted a jar of this recently by a friend, who is expert at making jams and preserves, I do aspire to creating a batch of my own in the future. This recipe I discovered on Epicurious is going in my baking file to try sometime soon as it does sound delicious! The marmalade must be stored in a sterilized Mason-type glass jar, but a few miniature jars I saved from a gift assortment of jams are perfect when refilled with the marmalade just for serving. Cover the jar with a decorative napkin then tie a ribbon around it and trim the excess napkin away. These are fun for brunch guests to use! Finally, lemon-flavored green tea with honey is my choice for this morning's citrus-inspired drink. 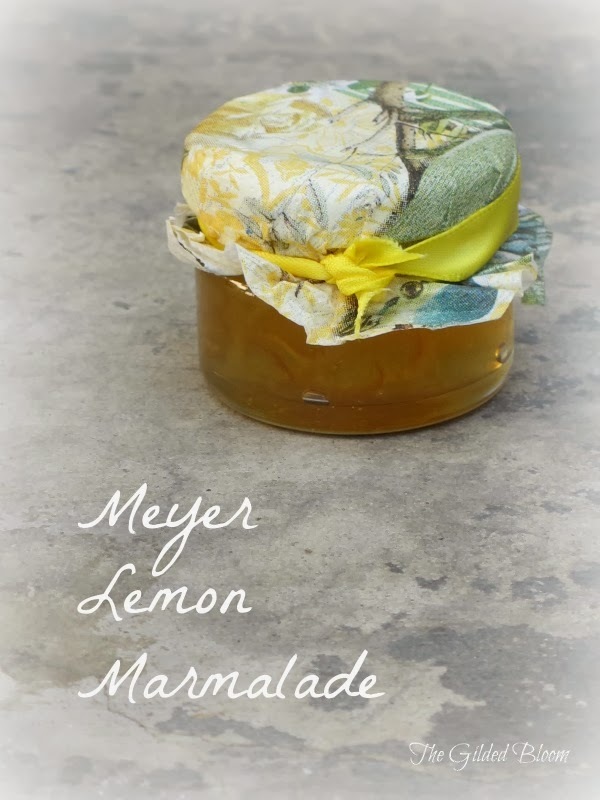 It is more tangy than sweet and complements the lemon marmalade and muffins well. But maybe I'll pick some up at the market and try them out! Thanks for sharing the recipe! 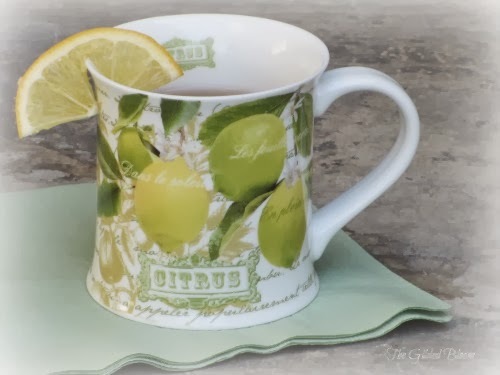 We are very lucky here in California to have citrus in the winter months. I hope you enjoy the muffin recipe! Thanks for the visit!